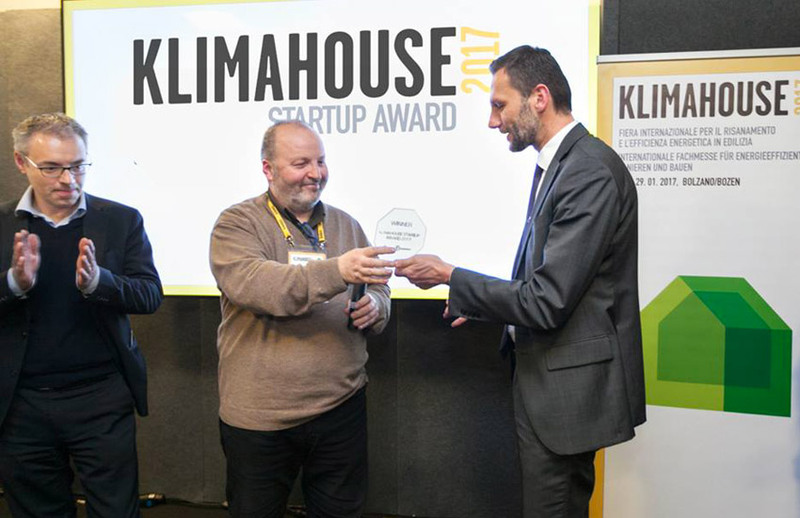 Nova Somor won the first edition of Klimahouse Startup Award. 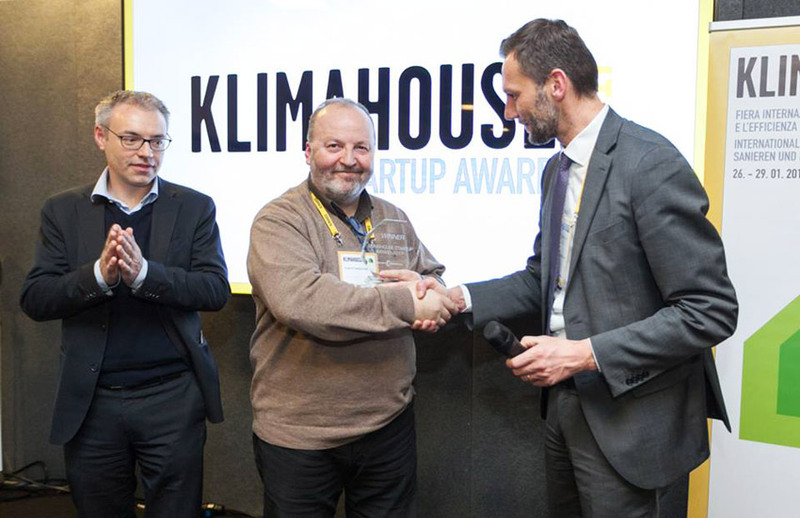 The jury, coordinated by the Scientific Director of the Innovation Days Klimahouse Luca Barbieri, has awarded the Innovation radical constituted by our low-temperature thermodynamic engine applied to the lifting of the waters, or the solarpump. No electricity or fuel, no CO2 emissions. Nothing pv panels or other expensive materials to be disposed, the solarpump works directly with the energy of the sun. Then a radical invention and not “derived” from others. The competition was attended by about seventy Italian start up. 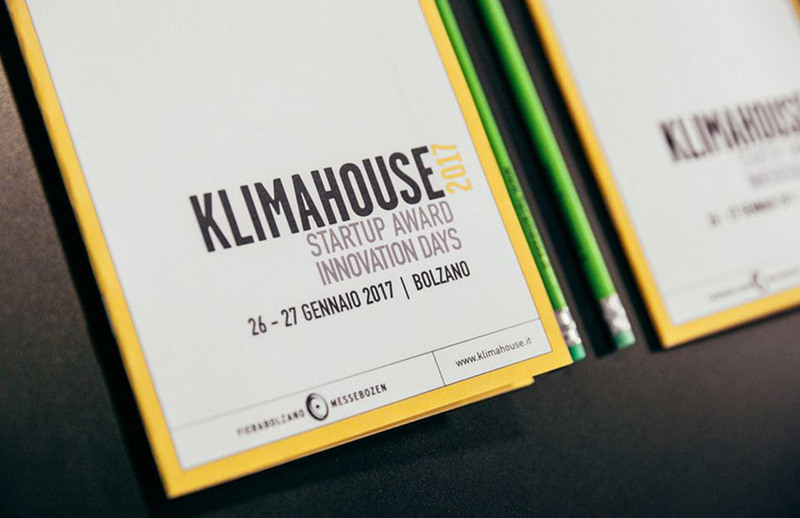 Nova Somor was selected among the 10 finalists, so taking advantage of the possibility of a free stand at the Startup Klimahouse Area in 2017. We then passed the final selection for the final and, thanks to the votes of the jury, we won in Greennovation and Egg Technology, the other two startups get to the final on January 27 afternoon. 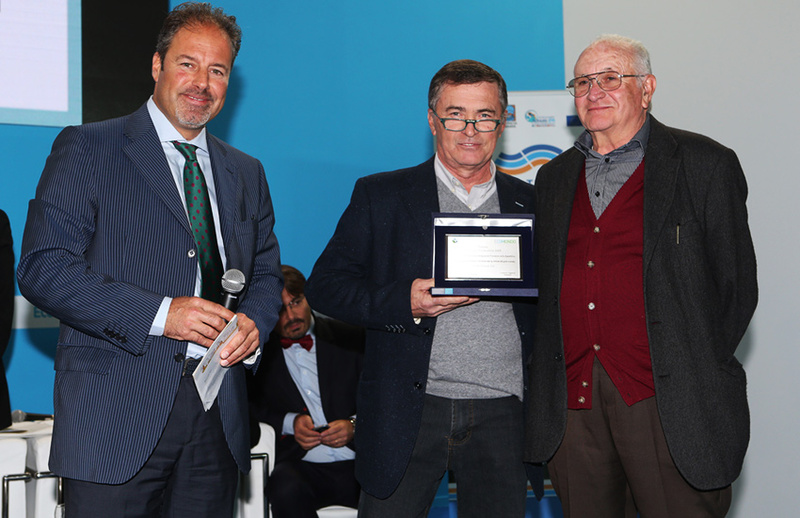 Nova Somor has thus won the first edition of the award, promoted by Fiera Bolzano IDM Alto Adige and Blum, dedicated to the Italian startup that work every day for a green and sustainable future. The victory will allow Nova Somor inclusion in the network of Klimahouse through participation as exhibitors and speakers (with all the costs of travel and accommodations included) to Klimahouse 2018, exhibition and as speakers to the stage ComoCasaClima, to visibility of communication tools of Klimahouse 2018 (video, social, advertising on the website and catalog) and a Competency Mapping by IDM, South Tyrolean agency innovation. The whole jury was particularly impressed with the top level of the innovative ideas in the race. Opening the final speech waas the meteorologist Luca Mercalli, who thus urged startups: “Do not just do innovation and just threaten to slip into” greenwashing”, but demonstrate with numbers the real benefits that your products can lead to heat “environment”. Judging by the nominations it was a jury composed of teachers, innovation experts, journalists. The jury, coordinated by Luca Barbieri, as Scientific Director, consisted of: Antonio Cianci, founder Airlite; Luca Mercalli, meteorologist, researcher and adviser; Chiara Tonelli, Professor of Architectural Technology at the Department of Architecture of the University of Roma Tre; Timothy O’Connell, head of H-Farm accelerator programs; Ulrich Santa, director of CasaClima Agency, public structure of the Autonomous Province of Bolzano in charge of energy certification of buildings; Thomas Mur, director of Fiera Bolzano; Michael Plank, Plank President; Hubert Hofer, Director Development Department IDM; Giulia Cimpanelli, Corriere della Sera; Archangel Rociola, journalist of AGI, Italian Journalistic Agency. The new visibility achieved by Nova Somor within the green building opens the door to new applications of our technologies. 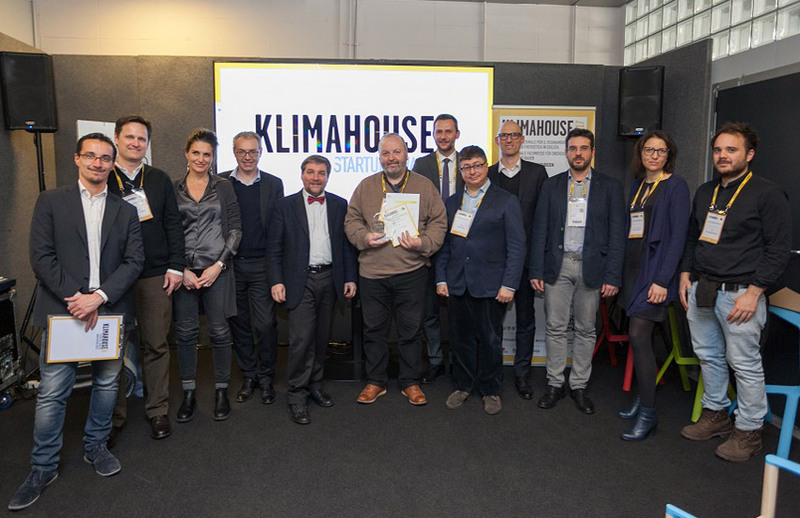 The meetings with potential partners and requests collected during and after the fair Klimahouse considerably extend the range of application of our thermodynamic engine. The ability to operate in off grid mode, even at night thanks to the combustion of biomass or use of lost-hot, make it interesting our machines even in areas so far unexplored. We have received requests to generate electricity, to cool environments, for lifting water from tanks of rainwater collection and other applications still. For a small start-up like us it is challenging and expensive activitie in terms of money and time spent, but in the future these activities strengthen our ability to stay even in the domestic market. Until now we have concentrated on the development of the international market, considering it the only one able to absorb the large production we want to achieve, today we see interesting opportunities in Italy. Since its foundation Nova Somor has focused on the development of solar pumps small to medium size, suitable to serve the isolated farms, small farmers and ranchers and villages around the world, especially in poor countries in tropical regions. But talking with a focus centered on the theme of reducing environmental impact and the reduction of CO2 emissions, we must prepare for the future also different challenges. 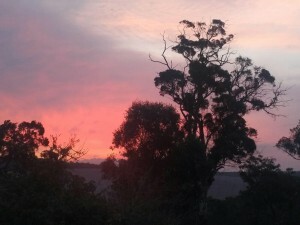 For example, in Australia there are water problems to solve much larger dimensions than those we are facing now. Our importer with whom we have signed a few months ago an exclusive contract for Australia, the Dedica Global Trade of Perth, is analyzing the local market before starting the import and it identified very challenging needs for Nova Somor . 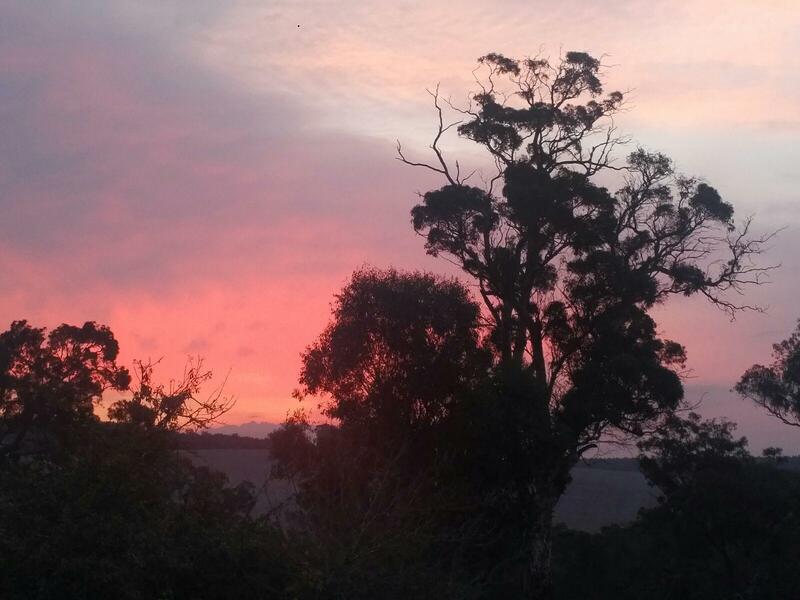 For example in the Frankland River area, about 300 km south of Perth, Dedica Global Trade has identified a potential customer, interested in our technologies. It is a farmer with a property of about 10,000 hectares with cultivations of various kind and farms. In the territory there is only brackish water and irrigates thanks to rainwater accumulations. Within the customer’s property there are water channeling works. Those works seem of two-lane roads, leveled to the millimeter from specific machines that give the necessary slope according to the orography of the terrain in order to precisely channel the rain water which then will go ‘to end in a collecting basin. The collection reservoirs are interconnected by a hydraulic system that uses diesel engine to pump and then move water from one tank to another or to irrigate. The need expressed by the customer is to have solar pumps based on our thermodynamics technology capable of replacing diesel engines used for moving the water and provide tens of thousands of liters every day. Only this company, as many of its kind in Australia, uses every year about 150.000l of diesel for its tractors and its hydraulic pumps, with easily imaginable CO2 emissions. It is a major challenge for Nova Somor, which requires capital and time to develop new larger size eliopompe, however we will try in the future to respond appropriately. 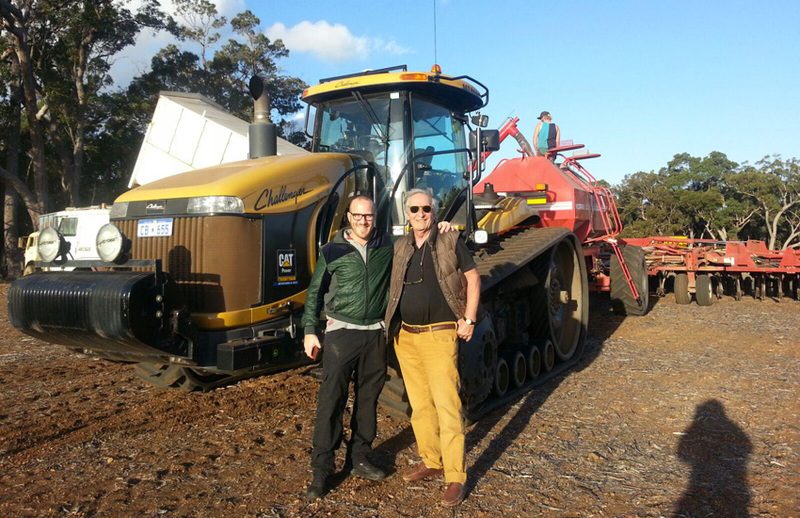 Photo above: Salvatore Montalbano of Dedica Global Trade (left) and his potential customer in front of a tractor in the Frankland River region about 300 km from Perth in Australia. 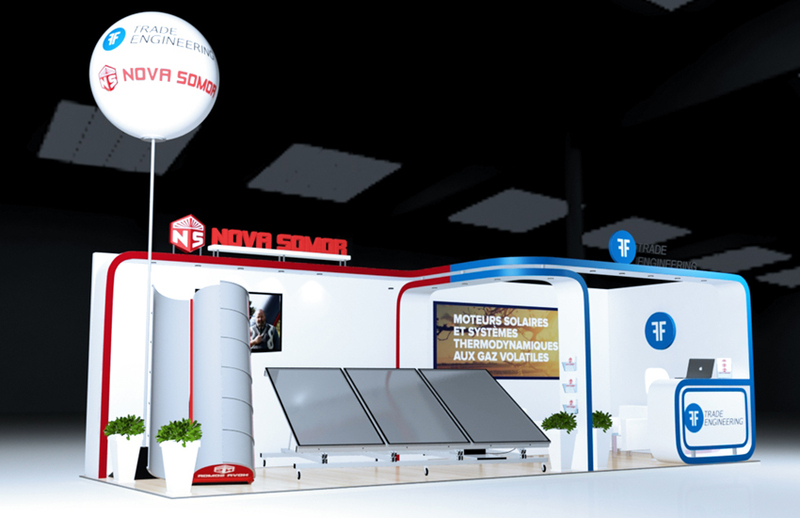 This year too Nova Somor will be present at SIAM, the biggest agriculture exposition in Africa, which will be held in Meknes, Marocco, from the 26th of April to the 1st of May. 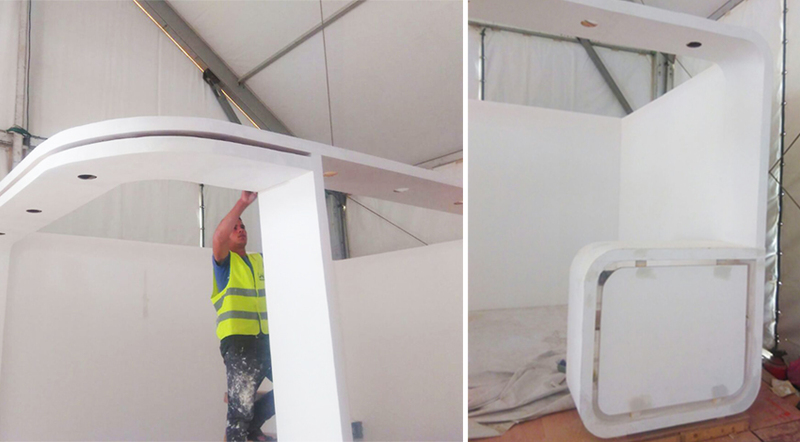 Last year we were present with a small prefabricated stand and we showed only the NS1. 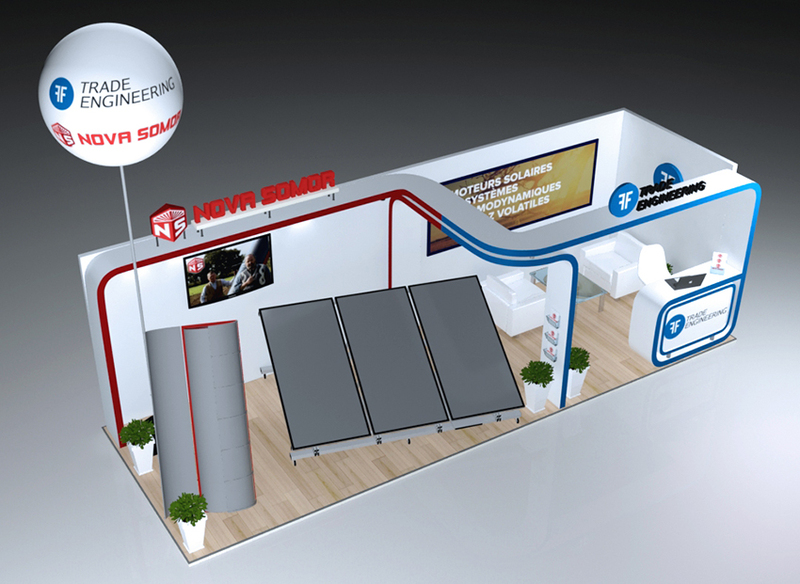 This time we will have a bigger and more professional stand that we are already preparing with our new partner FFengineer. We signed a strategic cooperation with FFengineer to improve our sales in most interesting foreign markets and to organize international fairs and events. Beyond NS1, we will show also a NS2 and there will be videos to show how to install the NS2 exposed. This event is a great opportunity to organize commercial meetings with local clients and, most important, international buyers from African and Eastern countries and other stakeholders with which we would like to cooperate. 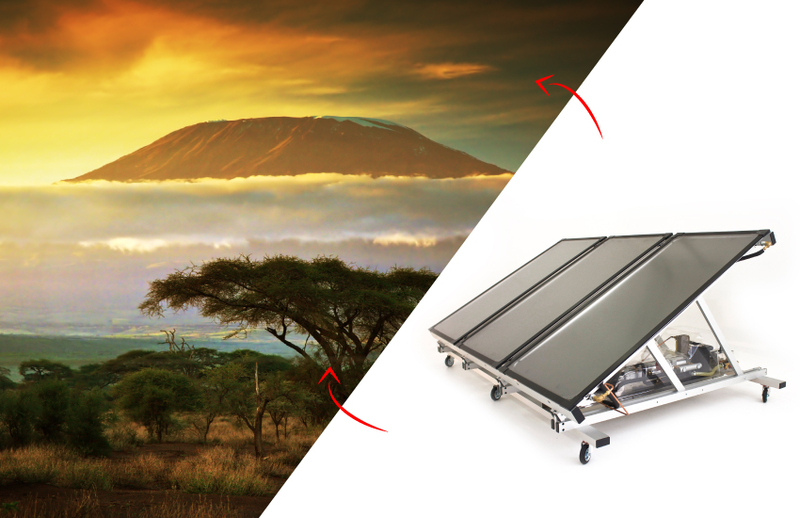 For Nova Somor, Africa, in particular Magreb, represents the ideal marketplace and location where low temperature thermodynamic can fully express its potential. After all the first helium pump, the Elio Dinamic of Daniele Gasperini was invented in Libia in 1935. 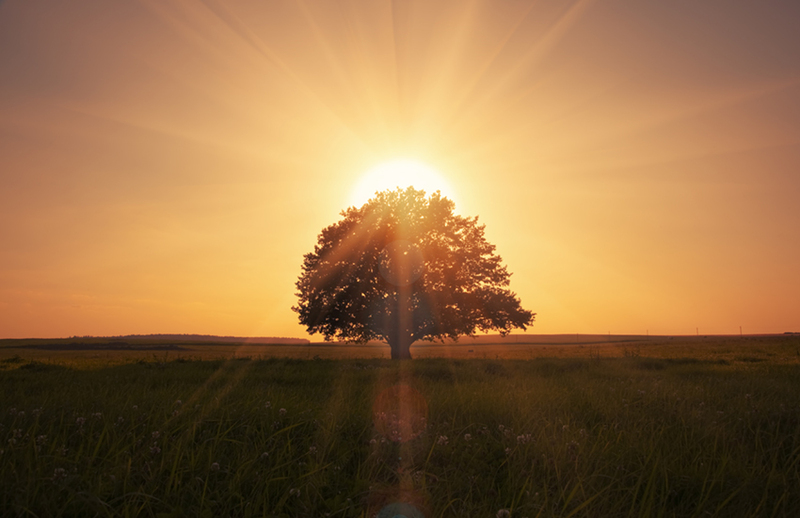 Nova Somor, from the beginning of its activity, develops its low-temperature thermodynamic systems with the intent of providing solar machines for as many people as possible. The purpose is to replace polluting and energy-consuming machinery. It is in fact a solar water pump designed following the dictates of bio-economy of Nicholas Georgescu-Roegen, made to last, not to pollute and do not consume energy storage, like the fossil fuels ones. Our solarpumps are designed and built to be easy to disassemble in order to recycle materials at the end of life. 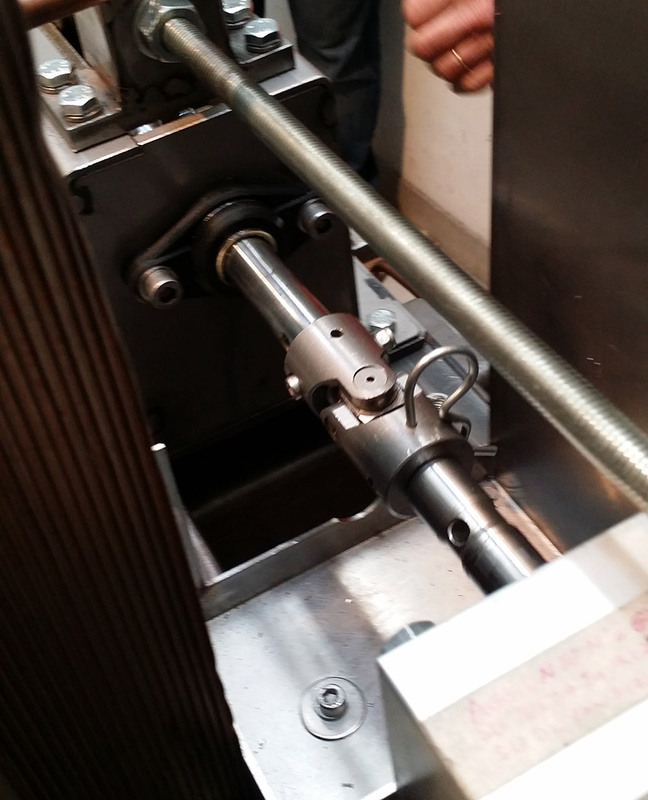 Furthermore all our solarpumps models are always equipped with a manual mechanical drive system. In this way the water resource is still available for the user, even at night or when it rains, or in case of failure. Imagine how important can be for a farmer who works in arid areas of South America, or the inhabitants of a remote village in Africa, to continue to pump water by hand while waiting for the arrival of technical assistance. All pumping systems based on electrically motorized technologies, even with power supplied from photovoltaic, or driven by endothermic engines, are lacking of emergency manual systems. When they break the water is no longer available, because it is in the machine’s availability, not of man. Not having an emergency manual activation system for an hydraulic pump is not a very clever thing even here, but at least here there is no risk to suffer thirst or to see animals die from lack of water or harvest be lost because of drought. But in certain parts of the world it is really important and sometimes vital that water remains always available, even if it costs a little hard work. Some friends proposed us a some time ago to send only manually systems in Africa, without any kind of engine. This in order to reduce costs for African customers and to further limit the possibility of mechanical failures. But these friends are in good faith and uninformed. 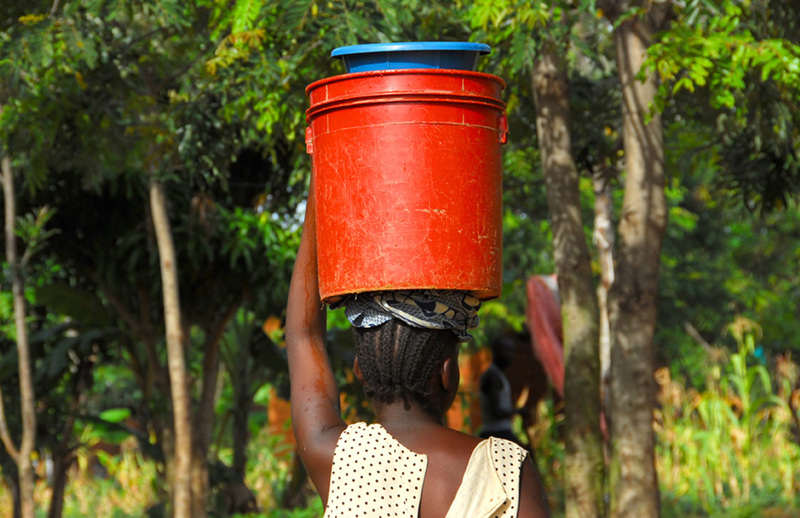 In many parts of Africa and in other parts of the world where water is scarce, there is a school dropout problem and the exploitation of labor of women for “water servants”. They are almost always children and women to raise water from wells and sources and bring it in the villages, in the gardens, fields and to the animals to be watered. So from our point of view manual systems must serve only in an emergency or to pump water maybe even at night when you need just a bit. But it should not be the only tool available, otherwise you exit the vicious circle of exploitation of child and female labor. Recently we improved our manual system, increasing the effectiveness and introducing a simple system that allows you to disconnect the thermodynamic engine by pumping. So when we need to work manually you don’t need to drag the thermodynamic system, increasing fatigue, as in our first solarpumps. There is more attention, which is very important for the logic and for the values of our project.